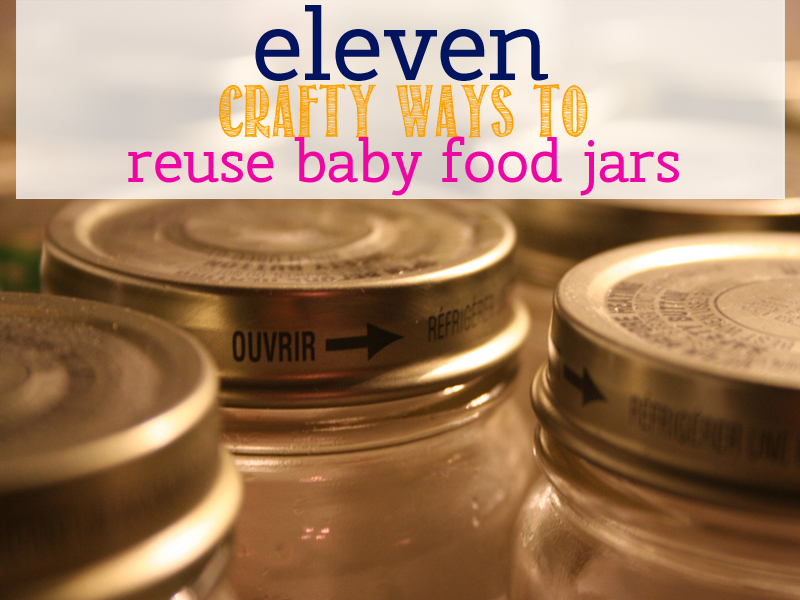 If you have a baby, you've probably amassed quite a collection of empty baby food jars. By the time recycling day rolls around, your bin will be overflowing with these little glass jars. It seems pretty wasteful that those dainty containers are only used for such a short period of time before being tossed into the recycling bin. Instead of toting them to the curb, run them through the dishwasher and save them for craft day with your kids. Then, gather up a few crafting supplies that you probably already have on hand, and read on for 11 inspiring, clever and useful ways to upcycle those jars! Chances are you have a party or two on your calendar – these adorable party favor jars are so versatile. You can customize them for any party and gender and they are super cute to boot! I love cool, crisp fall evenings outside. These fantastic miniature lanterns would look adorable hanging in your patio this autumn. You can leave them clear or paint them to match any decor. You already know how much we love terrariums. They are the perfect gardening project to do with the littles. These miniature terrariums would be super sweet for a nursery or centerpiece in your family room! Planning a fall get together? 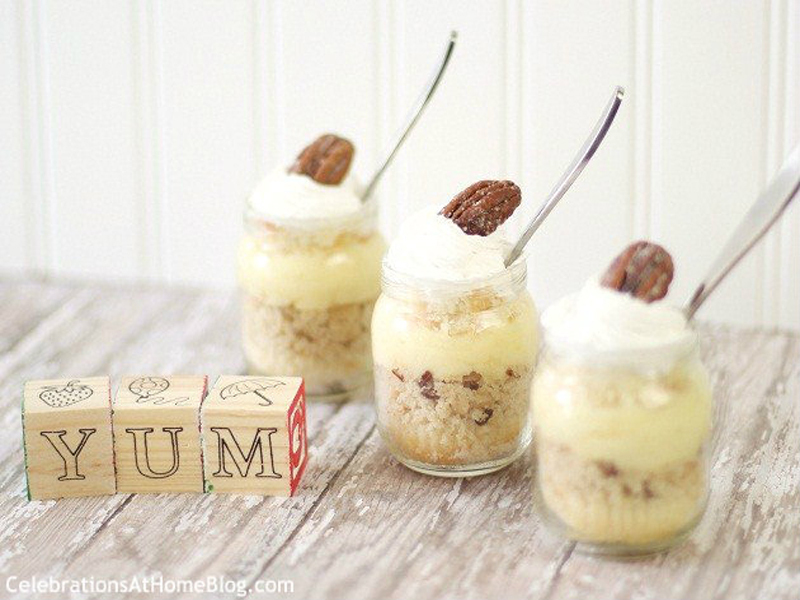 Why not surprise your guests with miniature dessert parfaits made in baby food jars? These little containers are the perfect size for a single serving of sweetness and they look adorable too. These paint dipped miniature flower vases would be a fun craft to do with the children. Plan ahead — wouldn’t a collection of these look adorable running down the center of your Thanksgiving Day table? I love this idea using baby food jars and magnets to house spices on your refrigerator. 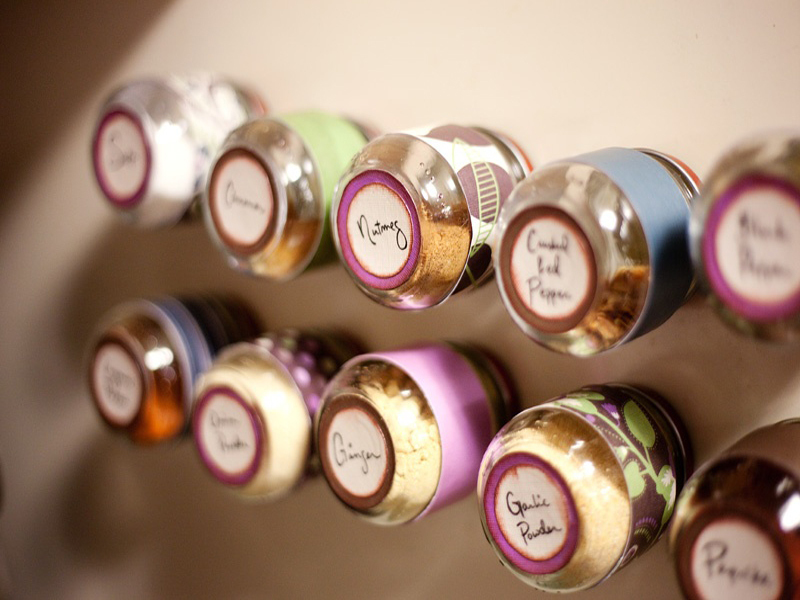 This would be a great addition to any kitchen, putting your spices within fingers reach all of the time. Halloween is right around the corner. 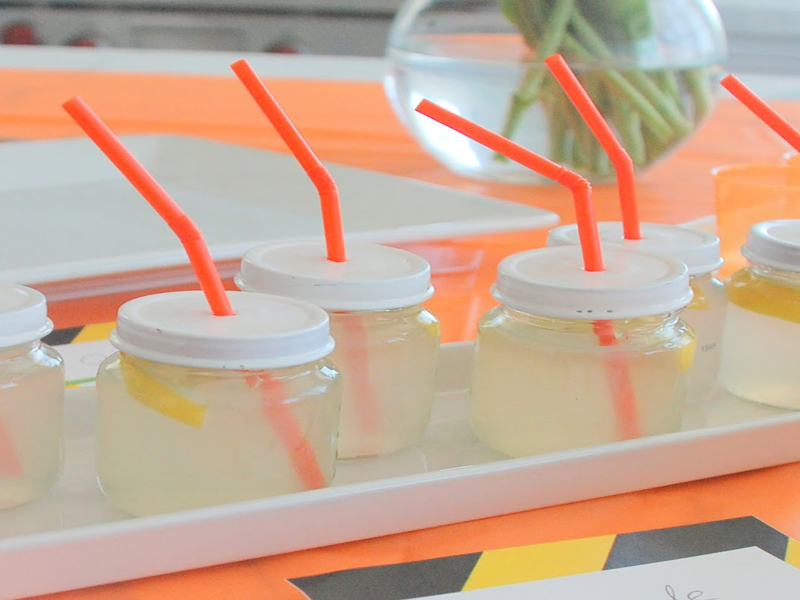 Wouldn’t a set of these cute drink sippers be perfect for your Spooky Bash? These sippers could be used over and over again and customized to any theme in any color — and the kids can help make them too. Here is a fun project to add a little whimsy to your child’s bedroom: adding photos to a series of baby food jars would look adorable peering down at baby each day. Photo credit © Monkey See! Monkey Do! If your house is like mine, it is over-run with art supplies – especially crayons. 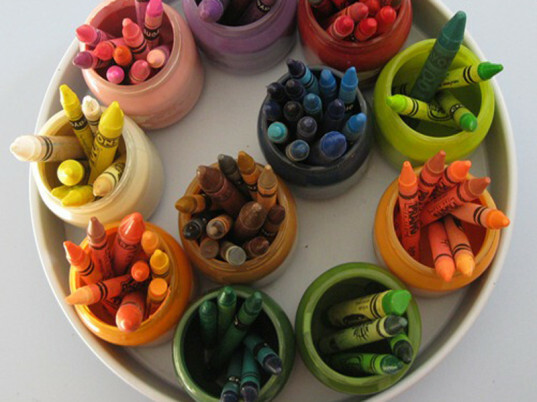 This cute organizer looks simple to make and will not only corral all of the colors – it displays them in a fun spectrum! + Monkey See! Monkey Do! No one can get enough storage. This fantastic miniature jar storage system would be perfect for housing craft supplies, hair accessories, jewelry or office supplies – the possibilities are endless. The winter holidays are right around the corner. 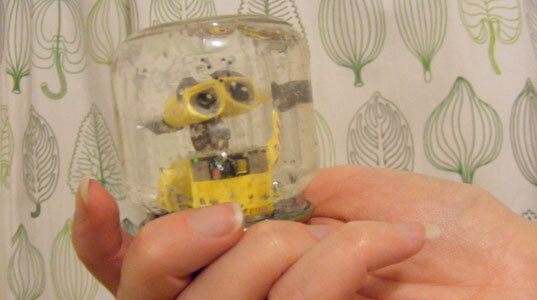 These miniature snow globes are perfect holiday gifts for your children to give to their friends. 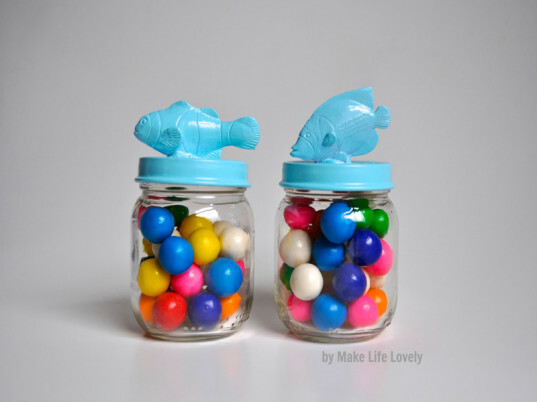 Chances are you have a party or two on your calendar - these adorable party favor jars are so versatile. You can customize them for any party and gender and they are super cute to boot! 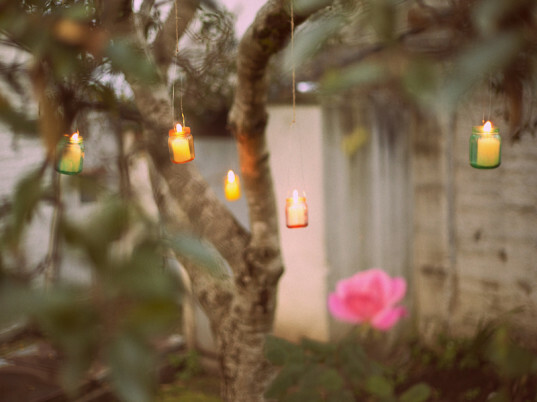 I love cool, crisp fall evenings outside - these fantastic miniature lanterns would look adorable hanging in your patio this autumn. You can leave them clear or paint them to match any decor. You already know how much we love terrariums - they are the perfect gardening project to do with the littles. 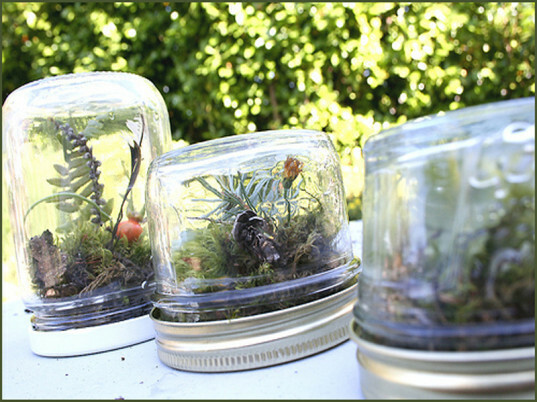 These miniature terrariums would be super sweet for a nursery or centerpiece in your family room! 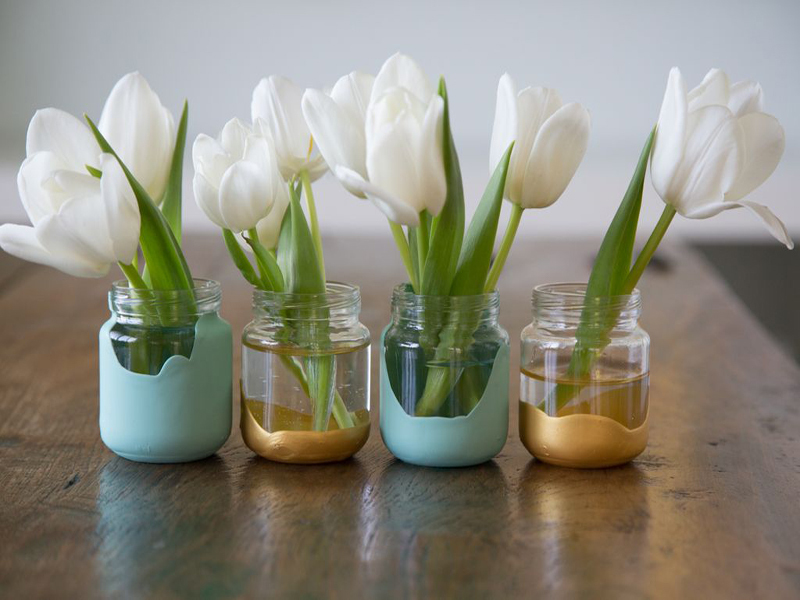 These paint dipped miniature flower vases would be a fun craft to do with the children. Plan ahead - wouldn't a collection of these look adorable running down the center of your Thanksgiving Day table? Halloween is right around the corner. Wouldn't a set of these cute drink sippers be perfect for your Spooky Bash? These sippers could be used over and over again and customized to any theme in any color and the kids can help make them too. 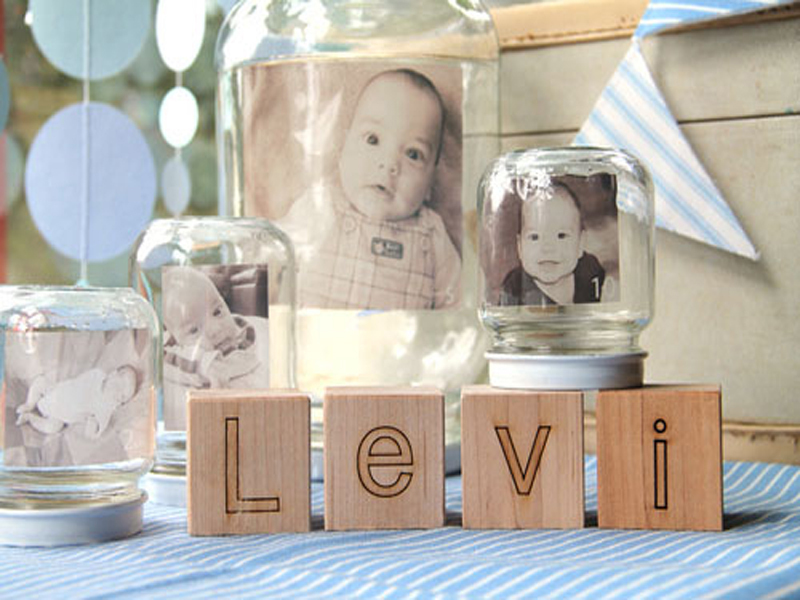 Here is a fun project to add a little whimsy to your child's bedroom - adding photos to a series of baby food jars would look adorable peering down at your babe each day. If your house is like mine, it is over-run with art supplies - especially crayons. This cute organizer looks simple to make and will not only corral all of the colors - it displays them in a fun spectrum! #10: Storage Organization No one can get enough storage! 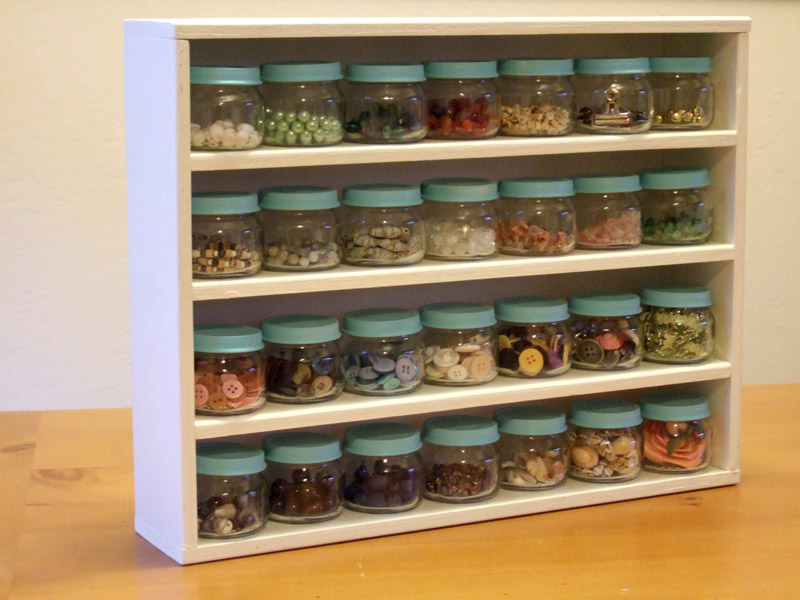 This fantastic miniature jar storage system would be perfect for housing craft supplies, hair accessories, jewelry or office supplies -- the possibilities are endless.